There was a genuinely eerie feeling at McHale Park last Saturday evening around 8.30pm. Galway had just beaten the home side by 1-12 to 0-12 and large numbers of Mayo supporters just sat in the stand numbed and perplexed by what had happened. Then they wandered zombie like out of the ground in a state of shock. In contrast the Galway fans on the field went ballistic and hoisted Damien Comer and Shane Walsh shoulder high to jump around in a wild rumpus like the wild things in Maurice Sendak's beautiful short story book, Where The Wild Things Are. Let's be honest here. Few apart from those inside the Galway camp had seen this result coming. And the home supporters found it difficult to process the reality that their team had just been beaten for the first time in the Connacht championship since Sligo, under the guidance of current Galway manager Kevin Walsh, beat them by 0-15 to 1-8 in June 2010. In the intervening five years their team had been unstoppable in Connacht, and they were predicted by the vast majority of pundits, those in this parish included, to hold sway last weekend too. Former Mayo manager James Horan predicted last week in the national press that the winning margin for Mayo could be in the six to 10 point region and that "group think" or "sheep think" mentality, was rampant. And 15 minutes into the second half, when the green and red were leading by 0-11 to 0-7, few would have doubted an upset. However, the game changed in the space of a few short minutes when the highly impressive Thomas Flynn raced through to goal, and that major was followed by a sublime point from his midfield partner and man-of-the-match Paul Conroy. Mayo responded to those scores like a boxer who had taken too many punches during the bout. Flynn's goal gave massive energy to Galway and it came at a really crucial time. The entire Mayo team was rocked to the core by it and they seemed incapable of getting back into a position to stop Galway facing Roscommon in two weeks' time (July 10 ). Galway's win was built on an incredibly strong work-rate all over the field and they had some real star performers. Debutant goalkeeper Bernard Power had a fine game and his kick-outs improved as the game progressed. Full-back Declan Kyne, Eoghan Kerins and David Wynne emerged with enhanced reputations and did very well in what was their first big championship game. Gareth Bradshaw revelled in his free role and swept up a load of ball across the entire half-back line, while centre-back Liam Silke always kept the central defensive channel closed off and Mayo had no clear-cut chance of a goal in the entire 70 minutes. It was at midfield that Galway really held sway. Paul Conroy produced the best display we have seen from him in a senior jersey. He was a man in the zone. Focused and fit, he was involved in an incredible 38 plays for his team. His two points in the second half after Flynn's goal were magnificent efforts that really drove the knife into any chance of a Mayo recovery. Thomas Flynn had a really fine game too, and his sallies through the heart of the Mayo defence were key to keeping them on the back foot and he took his goal superbly. Up front 20-year-old Eamonn Brannigan had a debut to remember with three points from play, and he is rapidly becoming a key player in Kevin Walsh's game plan, while Gary Sice made some vital contributions too. The Galway management team of Walsh, Seán Conlon and Brian Silke have had their detractors in the past few months and they will be absolutely delighted that, after all the hours of travel, training and coaching by the entire panel over the past year, they were rewarded with a famous win. Their focus will have already turned to trying to beat Roscommon in Pearse Stadium in the Connacht final in two weeks. The Tribesmen last tasted provincial success in 2008; Roscommon in 2010. No doubt Kevin McStay and Fergal O'Donnell will have already studied the video footage of last weekend and will be plotting and planning to bring Galway back to terra firma with a bang in Salthill. The final promises to be an real ripper of a game and one not to be missed. The prize for the winners is huge - Connacht champions and in the last eight on the August Bank Holiday weekend . 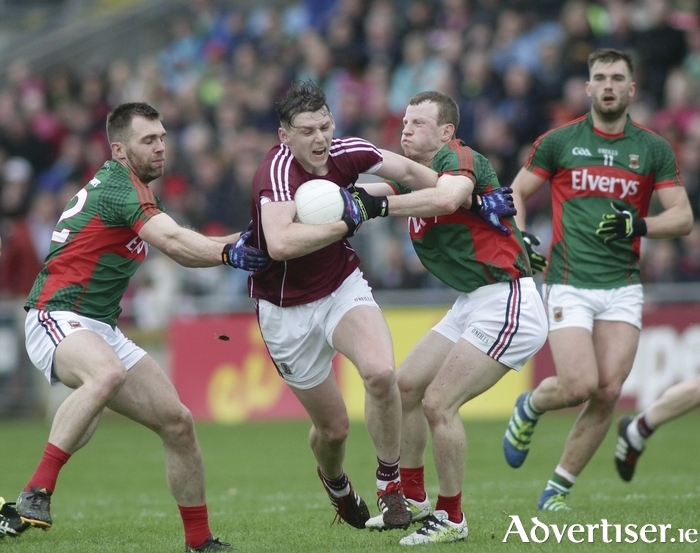 The big question for Mayo is can they regroup and go on a good run in the qualifiers? They have not become a bad team overnight. However they will need to reflect on what went wrong last weekend and then see if they can recreate the intensity and high energy play that made them such a difficult team to beat over the past five years. Stephen Rochford has a big job on his hands over the next few weeks, but if he can get players such as Diarmuid O'Connor back fully fit and get his other marquee players back to playing as they have in the past, then they will be a tough team for anyone in the backdoor.